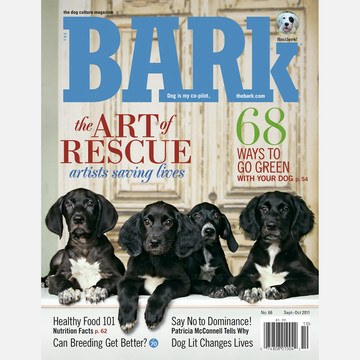 Bark Magazine One Year Subscription Only $8 (47% Off)! 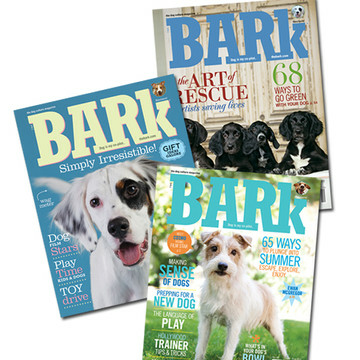 Get almost Half Off a One Year Subscription to Bark Magazine with this flash sale pet deal at Fab.com! From training tips to engaging stories about canine issues, Bark is the magazine your dog would buy if he had the cash (or the ability to speak). Having a dog is a lifestyle, and this publication understands your unquenchable thirst to read and learn about your canine companion. Get your own subscription or buy gift subscriptions for only $8 per year ($15 value) while this deal lasts! Up to $10 Off Subscriptions to The Bark and Dog Fancy Magazines – One Day Left! I have a limited number of invitations to Fab.com and right now is a good time to take advantage! Fab.com is a Flash Sale Boutique specializing in all-things fabulous for your home and life, at up to 70% Off retail or showroom prices. Today they are offering 1 and 2 Year Subscriptions to Dog Fancy Magazine and The Bark. I get both of these magazine, and really look forward to the arrival of each new issue. With this exclusive invite link, you can select 1 Year of The Bark or Dog Fancy Magazine for only $8 (regularly $15 and $13 respectively) or get 2 Years of Dog Fancy for $15 (regular price is $25). Don’t wait though, because as with all Fab.com deals, the offer is limited! Once you’ve confirmed your invitation, you’ll have exclusive access to all kinds of FABulous deals from Picasso prints to Stylish Gear for Dogs! You’ll also be able to invite your friends and receive credits for sharing deals! Don’t want this deal but still want an invitation to join Fab.com? Click here to join and start saving on all kinds of FABulous design and lifestyle deals!